Low back pain can occur for a number of reasons, from an acute spinal injury or pregnancy to degenerative conditions and longstanding alignment problems. If you've recently been struck by this annoying, potentially debilitating symptom, you may be understandable alarmed at the prospect of undergoing a major back surgery or having to take painkillers indefinitely. Fortunately, many cases of low back pain can be successfully treated through non-surgical, drug-free healing methods. Our chiropractors at APEX Wellness Center, Dr. Erin Stark Calaway and Dr. Nikki Porteus, will be happy to diagnose the nature of your complaint and treat its underlying cause through conservative care. 4 of out 5 American adults struggle some degree of low back pain sooner or later -- and 31 million are experiencing it any given moment. Most of them, however, have more mundane origins. 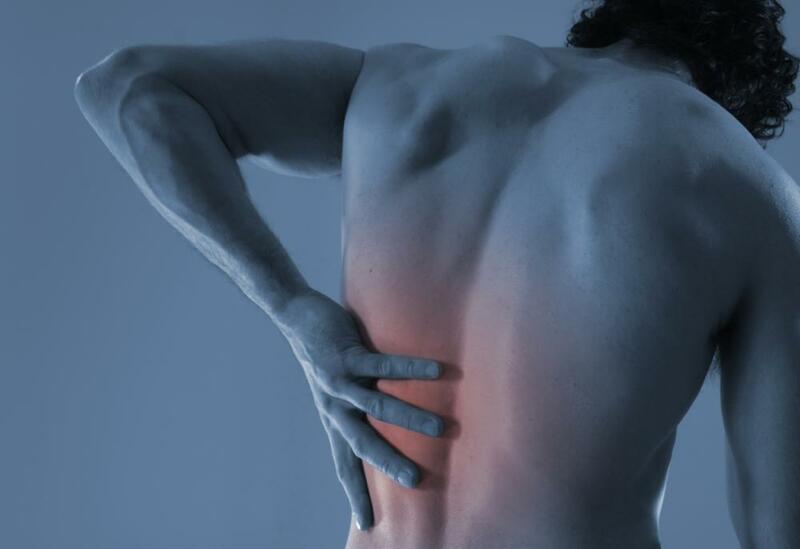 The conditions that set the stage for low back pain may develop slowly over months or years. A sedentary lifestyle may cause the muscles supporting the back to lose tone, encouraging poor posture and allowing the smallest trigger to set off muscle spasms and intense pain. Degenerative spinal conditions can also lead to low back pain. Aging lumbar discs may lose height and hydration, causing them to bulge and possibly herniate. These changes may put pressure on nerve tissue and strain the facet joints that connect the vertebrae, resulting in pain and other symptoms. Spinal stenosis (narrowing of the canal that houses the spinal cord) and spondylolisthesis (a front-to-back misalignment between two vertebrae) can also cause low back pain. Additionally, chronic spinal alignment problems may place the back muscles under constant stress. Muscular stress from a shifting musculoskeletal balance occurs during pregnancy as well. Weight gain and other physical changes create a "swayback" condition that lead to low back pain and other discomforts. Chiropractic adjustment - Chiropractic adjustment can restore your proper spinal alignment, taking stress off of major muscle groups and relieving nerve impingement. Massage therapy - Massage therapy loosens and soothes muscles, eliminating painful spasms and helping injured tissues heal themselves. We have special tables to accommodate pregnant patients. Cold laser therapy - Cold laser therapy uses the power of amplified light to accelerate cellular regeneration and relieve tissue pain/inflammation in injury or chronic pain situations. Essential oils - Essential oils can soothe and relax muscles to relieve low back pain and tightness. They can be especially effective when paired with massage therapy as part of a holistic healing plan. Whether you're in agony from a recent injury or you just need some gentle care to help you have a more comfortable pregnancy, APEX Wellness Center is ready to help. Call 972-392-9402 to schedule an appointment with our chiropractic team. Life is too short to spend yours in low back pain -- or any other kind of pain!